ALCO Animal and Pest Control has been providing professional pest control services for homes andcommercial pest control services in New Jersey for many years. Our expert pest control service staff uses safe, humane and environmentally friendly pest extermination products that will not harm animals, your family and the environment. We utilize our vast pest control knowledge to provide you with the right pest solution for any insect or pest problem your home has encountered. ALCO Animal & Pest Control will humanely remove any small animals such as raccoons, possums, squirrels and other rodents that may be a problem inside your house or your backyard. We offer same day pest control and animal removal services in New Jersey. Our trained pest extermination experts are ready to remove and control any pest problem you may have. We offer a free pest control inspection and free estimates. 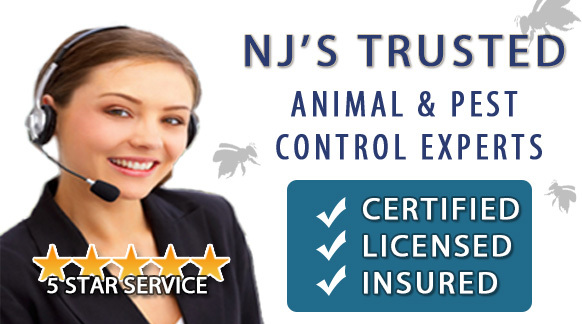 We provide 24 hr pest control and animal removal services for New Jersey. All of our pest control and animal removal services are fully guaranteed.